“We came all this way and it doesn’t look any bigger than Stowe!” Those were the words of Diantha Peters as we got our first look at Rendezvous Mountain, the mountain that is the Jackson Hole Ski Resort. It was February 1971 and thirteen of us had traveled from Vermont for a week ski vacation in Jackson Hole. It was Diantha’s first trip west so she could be excused for not understanding the perspective difference between our mountains and those out west. From a distance they don’t seem that different from ours, but up close they are broader with more vertical. Rendezvous Mountain has over 4000 feet of vertical, almost twice what we have at Stowe. During the two-plus mile tram ride up the mountain, Diantha became quiet. That could have been because she no longer thought Rendezvous Mountain was the same size as Stowe. Or it could have been because the tiers of cliffs beneath us were intimidating her. I know that Jackson Hole was the only ski area that intimidated me riding up the lift. 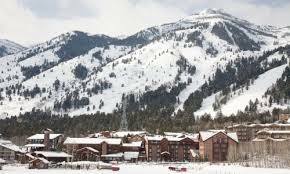 Jackson Hole Ski Resort is celebrating its 50th anniversary this year. 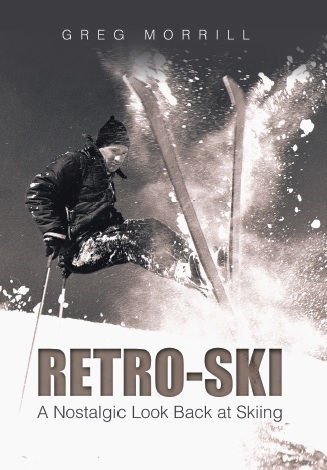 The ski area was the idea of Paul McCollister who partnered with developer Alex Morley to form the Jackson Hole Ski Corporation in 1963. They wanted to build a European style area with big vertical and they believed Rendezvous Mountain offered that and more. They built a tram to service all 4000 vertical of Rendezvous plus some chairlifts on the smaller adjacent Apres Vous mountain. At the base they started a European-style cluster of lodgings and called it Teton Village. The area officially opened in November of 1965. Teton Gravity Research (TGR) has made a series of videos honoring Jackson Hole’s 50th with the overall title of “Born to Be Wild”. You can view them at the Jackson Hole website. They are fantastic videos that combine old scenes with new scenes. They do cover the history of the resort, but more importantly they capture the spirit of the resort. Watching them took me back to my first visit in 1971 and triggered this week’s column. 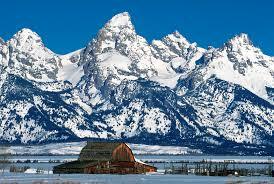 The Jackson Hole valley with the Tetons as the backdrop is one of the most spectacular settings in the world. The Tetons are all over 12,000 feet with the Grand Teton reaching almost 14,000 feet. The views are stunning in both summer and winter. The area gets a lot more visitors in the summer due to the proximity of Yellowstone National Park. When you’re skiing at Jackson Hole you may be forgiven for not noticing those views. There’s a lot of steep challenging terrain that demands your attention. In 1971, Rendezvous Bowl near the top of the tram was classified as intermediate. It was steep enough that if you fell you would slide all the way down. I know because one of our group did just that! There are many other inbounds extreme routes at Jackson Hole not to mention those that technically lie outside the area boundaries. 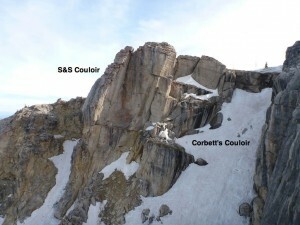 One located right next to Corbet’s is the S & S Couloir. You enter this from a slot on the side of the cliff. It requires a twenty foot drop with a 90 degree turn while you’re in the air. The landing zone may be six feet wide, but from twenty feet up it looks about the width of your skis. And your problems aren’t over since you still have to negotiate a left turn before the cliff walls widen out and you join the runout from Corbet’s. No one correctly identified the S & S couloir this week. By the way, the couloir gets its name from the first people to ski the route. Two ski patrollers, John Simms and Charlie Sands, were the first to drop in and hence the S & S name. Those TGR videos I mentioned earlier contain some great shots of both Corbet’s and the S & S. These include Tom LeRoy’s famous flip into Corbet’s featured in the 1968 ski film “Ski the Outer Limits”.